Located on the southeast side of the city, Benjamin Franklin serves approximately 450 students each year. Offering pre-kindergarten programs for ages 3 and 4, through grade 5, our school also supports the district offices for Early Childhood and parenting, and serves the community through a school-based health care clinic. We are proud to be a neighborhood school in a community with a strong commitment to education and collaboration. Just take a look at a number of items we have accomplished by clicking on the report card to the right. Each and everyday Franklin’s staff members work to build strong relationships with our students and parents. Our focus continues to be what is best for our students! If you have any questions, or thoughts to share, please do not ever hesitate to contact us directly. Our door is always open. 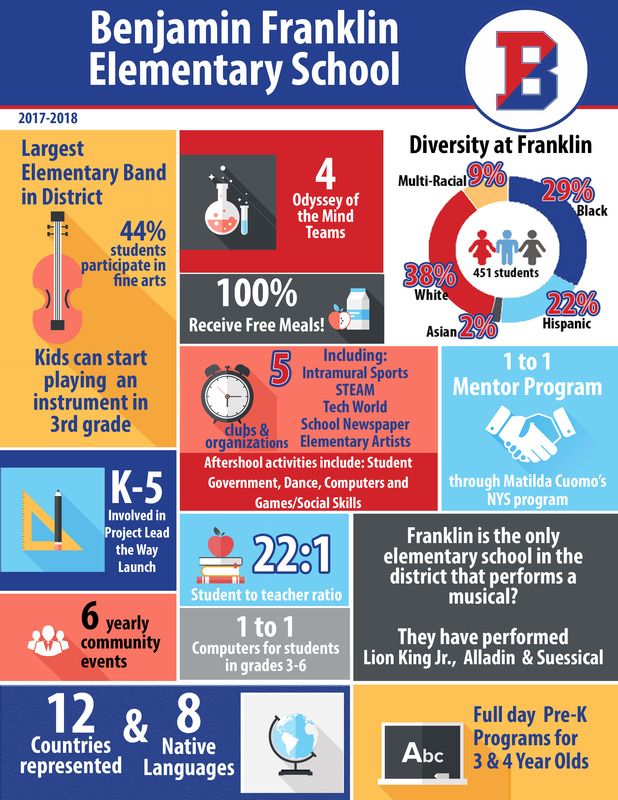 Thank you for your continued support of Benjamin Franklin Elementary School.